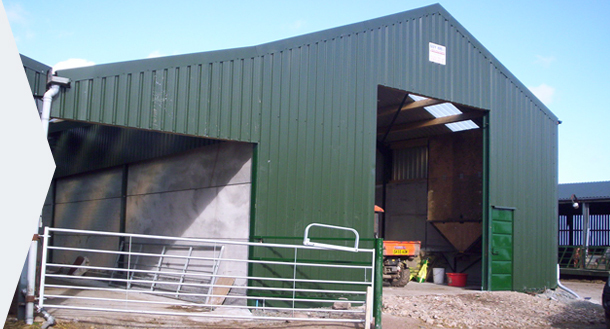 Farm Buildings Guy Hall Agricultural Services in Lancashire: for ground work, excavation, demolition, building planning application services, tractor repairs and the production of steel frame agricultural buildings. 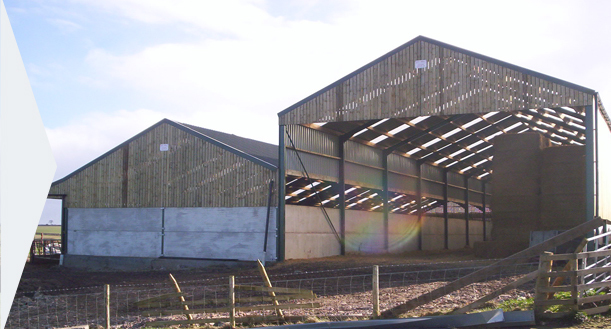 for ground work, excavation, demolition, building planning application services, tractor repairs and the production of steel frame agricultural buildings. 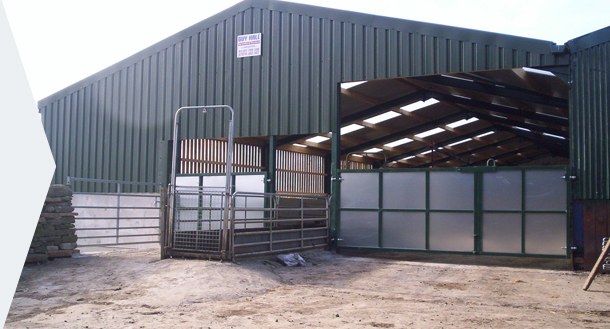 From our workshops in rural Lancashire, Guy Hall Agricultural Services provides impressive products and services; ranging from ground works and building demolition, through to building excavation (including the creation of slurry lagoons), buildings, including barns, sheds and all agricultural steel buildings, in steel kit form and steel fabrication. Our services and products are designed primarily for the agricultural sector but we also offer important applications for associated industries. 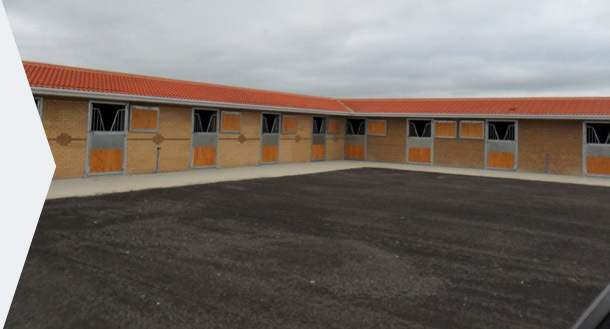 Prefabricated building products can be delivered and erection of buildings can be undertaken throughout the UK. So, via Guy Hall Agricultural Services, clients throughout the North West of England and beyond enjoy a range of specialised agricultural services. 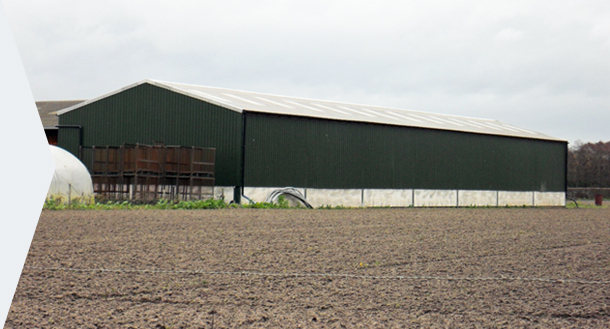 Ground works, extensive excavation and reclaiming of agricultural land is one of our specialist subjects at Guy Hall Agricultural Services in Lancaster. 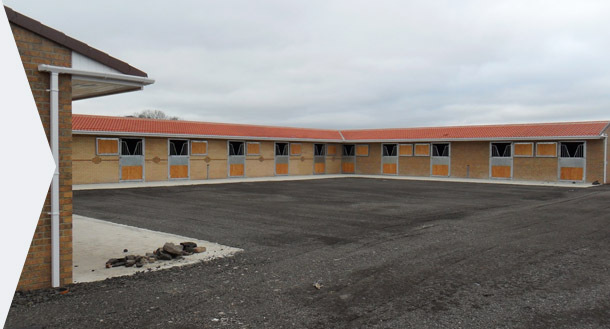 As highly accomplished demolition contractors, we demolish safely and effectively, all types of agricultural buildings. With site excavation from Guy Hall, the areas in question are transformed, leaving them ready for new, replacement buildings. 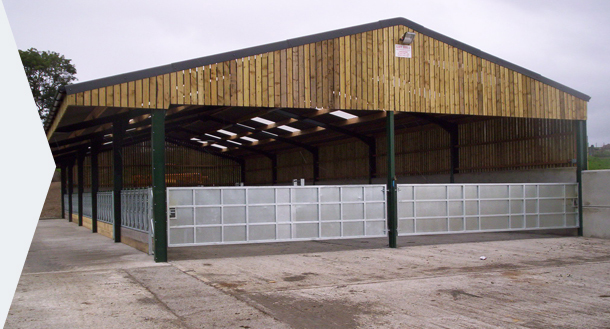 Individually created, cow cubicles, feeders, troughs and barriers from Guy Hall Agricultural Services ensure the best use of interior building space. Our services and products are designed primarily for the agricultural sector but we also offer important applications for associated industries. 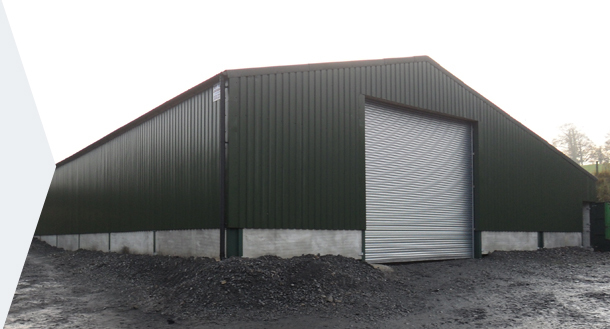 Building products can be delivered and erection of steel framed barns, sheds, garages and many other types of building, can be undertaken throughout the UK. 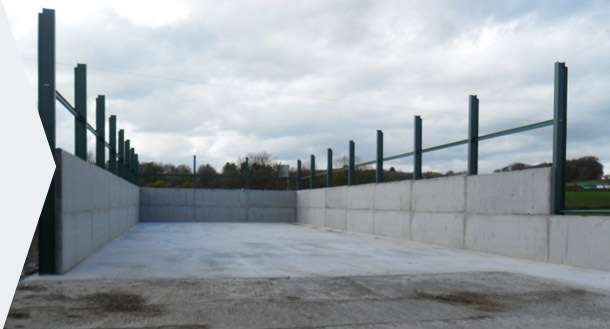 All aspects of ground works undertaken from bulk excavation to drainage, slurry lagoons and silo clamps. Our trained fabricators have the expertise required to repair existing equipment - or to build new items to customer specification and from scratch! We follow stringent Health and Safety good practices throughout all our work. 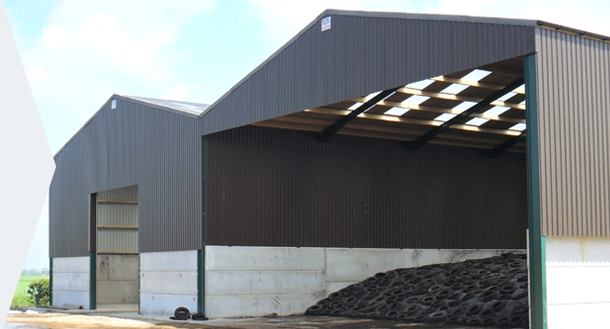 In addition and as a member of RIDBA, we follow their own Code of Practice thus ensuring that our customers receive high quality services in all areas of agricultural building and construction. 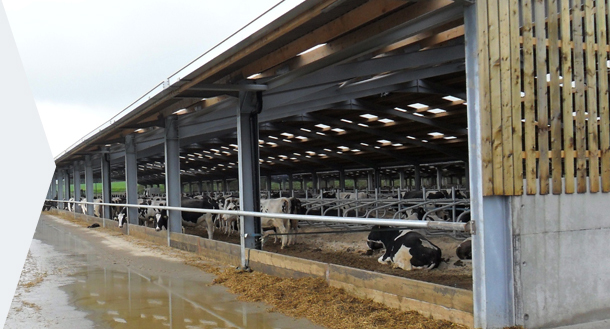 Please telephone us on 01253 799100 or email us to discuss how our range of agriculture related buildings and services might meet your requirements perfectly.